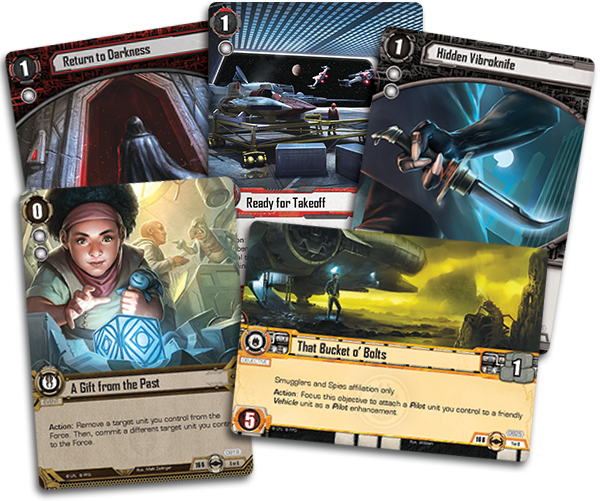 Throughout the Rogue Squadron cycle for Star Wars™: The Card Game, we’ve explored the massive cruisers, nimble starfighters, and the aces that pilot these ships. Whether you command a fleet of capital ships or fly in a single X-wing, there’s no denying that these starships have made a tremendous impact on the face of the galaxy and a key part of that impact lies in the development of the hyperdrive and capability for hyperspace travel. Now, you can make your own Jump to Lightspeed at your local United States retailer or online through our webstore. 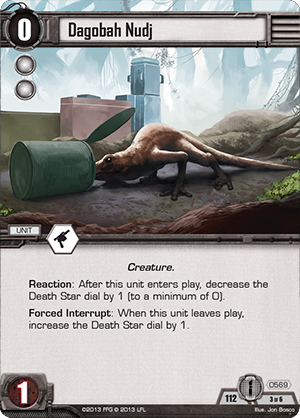 Jump to Lightspeed is the final Force Pack in the Rogue Squadron cycle for Star Wars: The Card Game. Like the other Force Packs in this cycle, it features a focus on starships of all types and the ace pilots who fly them. 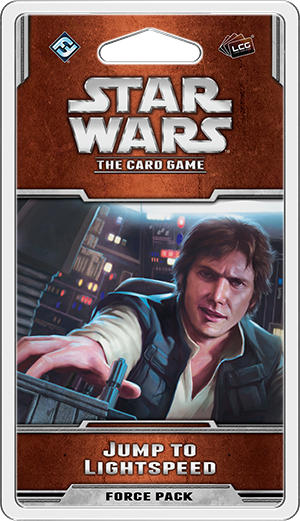 Within the ten objective sets (two copies each of five distinct sets) included in this expansion, you’ll find iconic characters and vehicles such as Han Solo, the Millennium Falcon, Guri, Tycho Celchu, and Wes Janson. Take the pilot’s seat, punch in the coordinates, and jump to lightspeed! Much of the galaxy is mapped by hyperspace lanes that designate safe routes for travel, but even more of the galaxy is unmapped and unexplored: the so-called Unknown Regions. There, the Imperials discovered a dark side Force user held in stasis for the last 25,000 years. 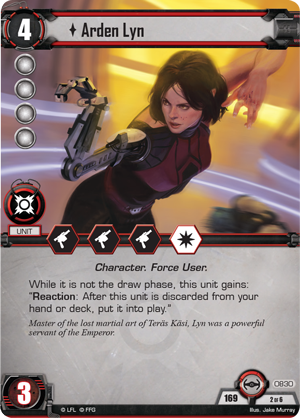 Now, you can bring Arden Lyn (Jump to Lightspeed, 830) out of the past to serve the Emperor in your games of Star Wars: The Card Game. Arden Lyn is a powerful unit seemingly built for defense. She boasts significant unit damage, as well as four Force icons for holding the Force. You can certainly pay four resources to play Arden Lyn if you wish, but if you can find her in your deck at the right time, you may get her for free. Arden Lyn’s ability reads, “While it is not the draw phase, this unit gains: ‘Reaction: After this unit is discarded from your hand or deck, put it into play.” Gaining Arden Lyn for free gives you a significant economic advantage over your opponent, but you’ll need to find ways to discard her from your hand in order to trigger this Reaction. Fortunately, this objective set is full of ways to bring Arden Lyn into play for free, beginning with the objective, The Reawakening (Jump to Lightspeed, 829). 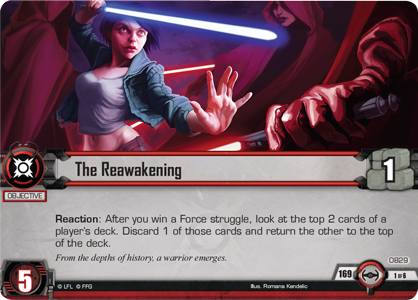 The Reawakening offers an ability that can prove quite useful: after you win a Force struggle, you may look at the top two cards of any player’s deck, discard one of those cards, and return the other to the top of the deck. You may use The Reawakening on your opponent’s deck to discard his most powerful cards, or you may trigger it on your own deck to discard less useful cards or search for Arden Lyn. 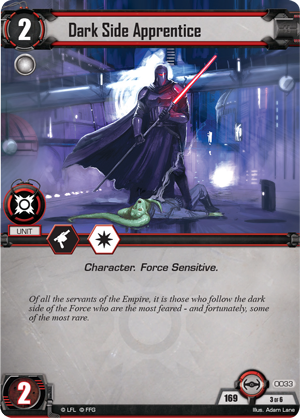 Either way, The Reawakening offers a useful effect for the dark side to control what will enter the game in future turns. 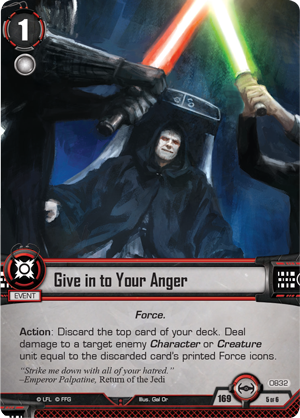 You’ll find another reason to discard cards from your deck with the two copies of Give in to Your Anger (Jump to Lightspeed, 832) included in this objective set. You can play this event as an Action to discard the top card of your deck. Then, you may deal an amount of damage equal to the discarded card’s Force icons to an enemy Character or Creature! Even if you only discard a Dark Side Apprentice (Jump to Lightspeed, 33), a single damage is plenty to destroy a pesky Dagobah Nudj (Join Us or Die, 569). If you’re luck enough to discard Arden Lyn herself, you can deal four damage to a target unit and bring Arden Lyn into play for free! Finally, this objective set offers an enhancement that can keep your most powerful units alive in the heat of battle. 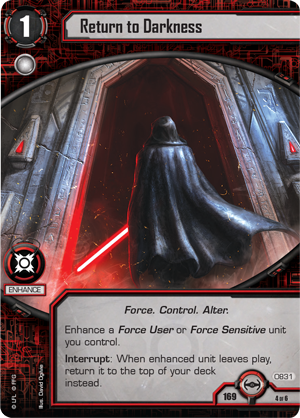 You can enhance one of your Force User or Force Sensitive units with Return to Darkness (Jump to Lightspeed, 831). Then, when the enhanced unit would leave play, you can return it to the top of your deck. 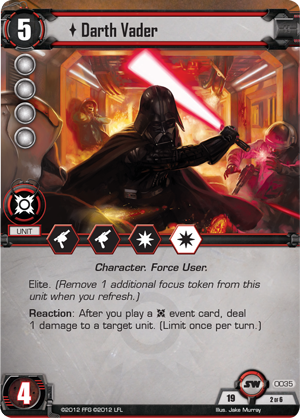 Imagine the power of bringing Darth Vader (Core Set, 35) back into play after your opponent expends the effort to finally kill him. Even if you don’t play the unit, you’ve most likely gained a high-Force-icon unit to your hand for future edge battles. Arden Lyn returns to the known galaxy, even as Han Solo flies the Millennium Falcon on a smuggling run and the Rebellion’s ace pilots fight for freedom across the galaxy. Gather your best pilots and scramble your fighters: the final Force Pack in the Rogue Squadron cycle is now available! Pick up your copy of Jump to Lightspeed at your local United States retailer today.